The law enforcement agency conducting the arrest is obligated to advise suspects of the consequences of refusing to submit to a chemical test. These consequences include the legal consequences of being charged criminally as well as the fact that refusal will result in the loss of driving privileges for a year or longer. This admonition is absolutely required and if the enforcement agency has failed to do this, the prosecution must dismiss any refusal allegation. In additional, the admonition must be given in a clear and unambiguous manner. Any ambiguities in the admonition could prove to be fatal to the prosecution's allegation of refusal. For example, warning a suspect that they "may" lose their license, instead of that they "will" lose their license, is considered to be ambiguous and thus fatal to a refusal allegation. 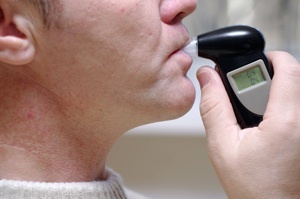 If a DUI suspect has a medical condition which prevents them from submitting to a test, a refusal allegation cannot be upheld against that suspect. However, it is important to remember that self-induced conditions, such as voluntary intoxication, do not qualify as an appropriate conditions when considering "incapacitation." For more information about California DUI Refusal defenses, and to schedule your free consultation, contact Michael Kraut at the Kraut Law Group. Mr. Kraut can be reached 24/7 at 888-334-6344 or 323-464-6453.